The devotion to Jesus as the Divine Mercy stems from the writings of Saint Faustina (1905-1938), a Polish nun, who kept a diary of the revelations she received about God's mercy. In entry #848 Jesus spoke thus, "Write down these words, My daughter. Speak to the world about My mercy; let all mankind recognize My unfathomable mercy. It is a sign for the end times; after it will come the day of justice." 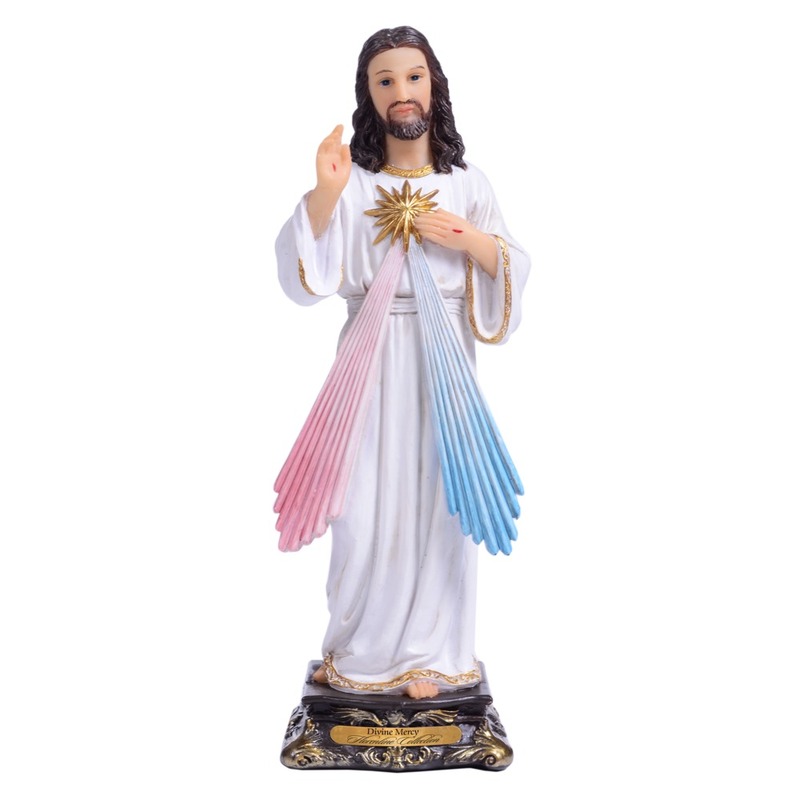 This beautifully detailed statue of Jesus, the Divine Mercy, is a perfect reminder that NOW is the time for Mercy! Made of a resin stone mix, this statue is part of our Florentine Collection and is available in 5, 8, 12 or 16 inch.